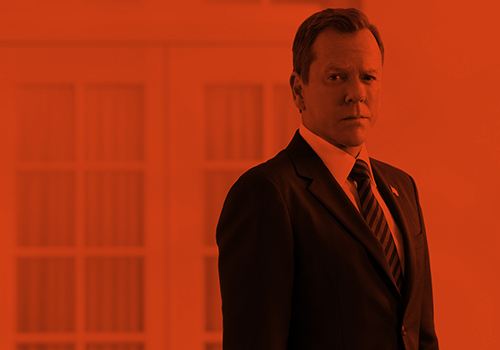 Kiefer Sutherland never “dreads” putting black tie on for a formal occasion. The 24 star has been attending lots of glitzy events to promote the comeback of the hit show 24: Live Another Day, which has 12 episodes this season. While many stars dread hitting the red carpet and getting papped, Kiefer is keen to get his glad rags on. Kiefer keeps in great shape by playing hockey and admits he needs the exercise to keep him on track for filming 24. The actor turned 47 last December and rarely thinks about the ageing process. However, he did have to take a breather when he hit the big 4-5. This entry was posted by Courtney on Sunday, June 15th, 2014 at 11:08 am. It is filed under Articles. You can follow any responses to this entry through the Comments Feed.